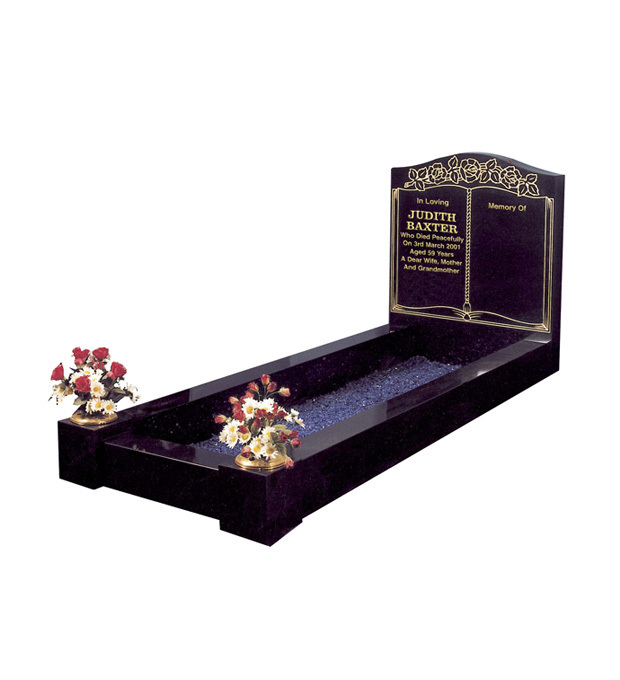 This popular memorial is shown in 'Black' granite with an all polished finish for easy maintenance. The polished roses have been outlined and gilded to complement the book design which can be supplied with or without a cord and tassel. Trade customers please log in to view Baxter purchasing options.